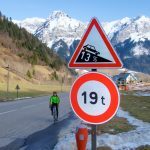 There is currently a heat wave in the Alps. Too hot, but at least good cycling. 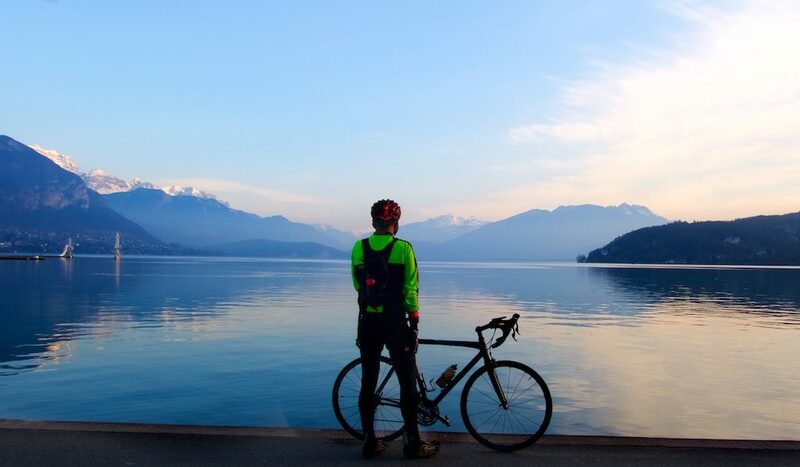 Starting from Annecy it’s a good 30 flat kilometres along the Annecy bike path before the climbing begins. I didn’t take many photos along-side the lake. But it’s a wonderful path built along an old railway line. 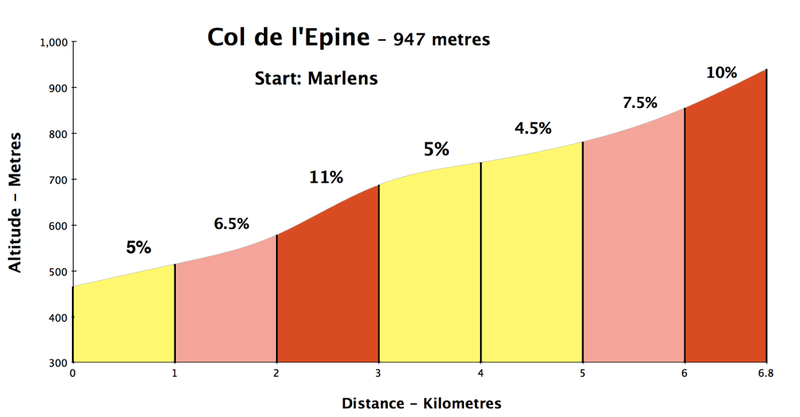 The village of Marlens is beside the bike path and is the beginning of the 7 kilometre climb to Col de l’Epine. It’s a very quiet road, nice hairpins, and great views of the valley below and surrounding mountains. 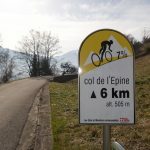 There is another Col de l’Epine worth cycling nearby. 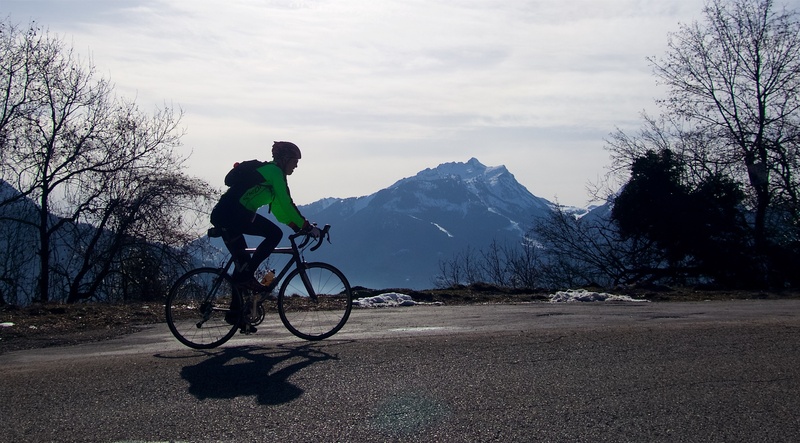 Near Chambéry beside the fearsome Mont du Chat. Details here. Over the top is a very quiet area, big mountains, very nice. 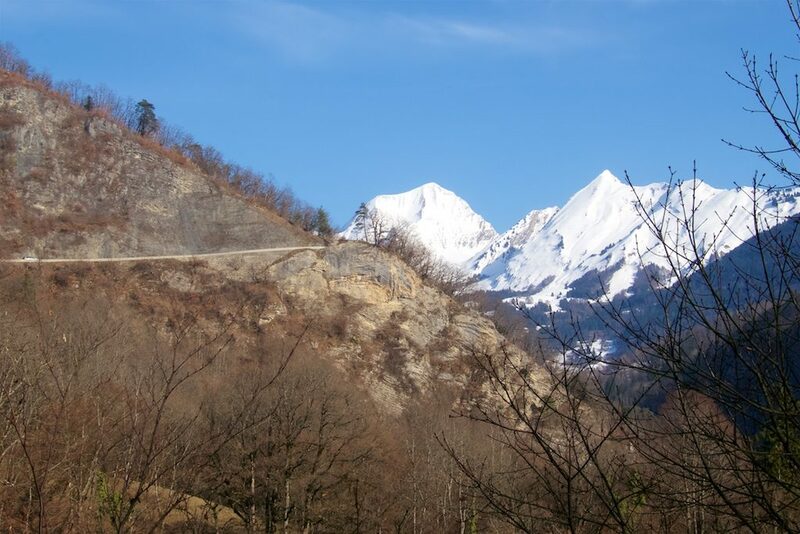 The road curves around and joins another road 3 kms short of Col de Marais. Here, I descended a cliff road through a fabulous undeveloped valley. 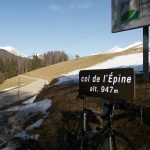 Note, it passes the little known Col des Esserieux (see map below). 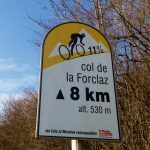 After descending, I headed towards Vesonne and the start of Col de la Forclaz de Montmin. This 8.5 kilometre climb is very steep, but quiet and scenic. I saw my first Tour de France mountain stage here in 2004. I prefer this south side, but the slightly busier north side is interesting too and certainly has better lake views. 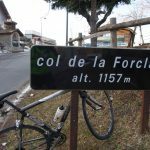 Forclaz is an old local word for “narrow gap” and there are several in the north French Alps. I believe I have cycled 6 or 7. 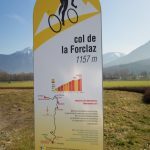 The most interesting are this one, a Forclaz on the Swiss/French border, a Forclaz to the remote Lac de Lessy, and an unpaved “Fourclaz” high above Col du Petit St. Bernard. It’s a fun, scenic descent down to the lake. 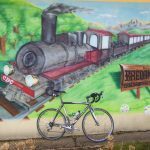 There are a few kilometres along the lake on a slightly busy road, but every year they seem to extend the bike path, minimising the lousy part to just a few kilometres. They have done a great job of adding pedestrian boardwalks, benches, bike paths, etc. in recent years. 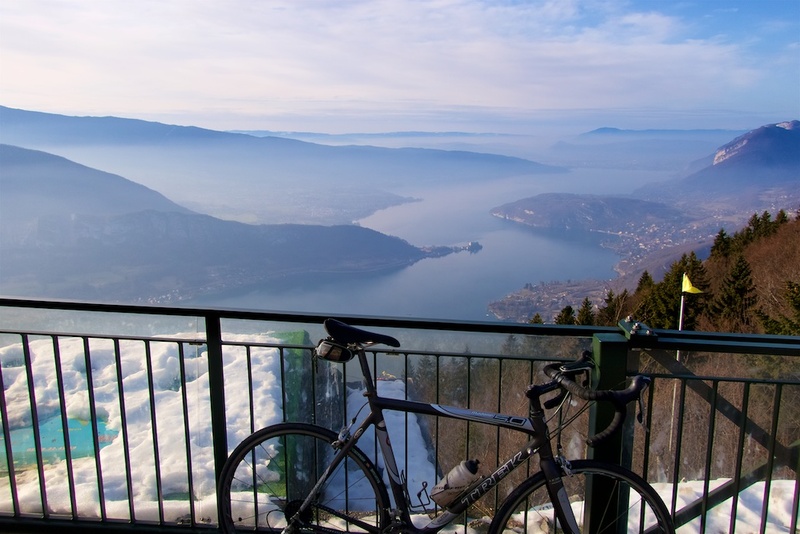 For more great climbs from Lake Annecy see here. 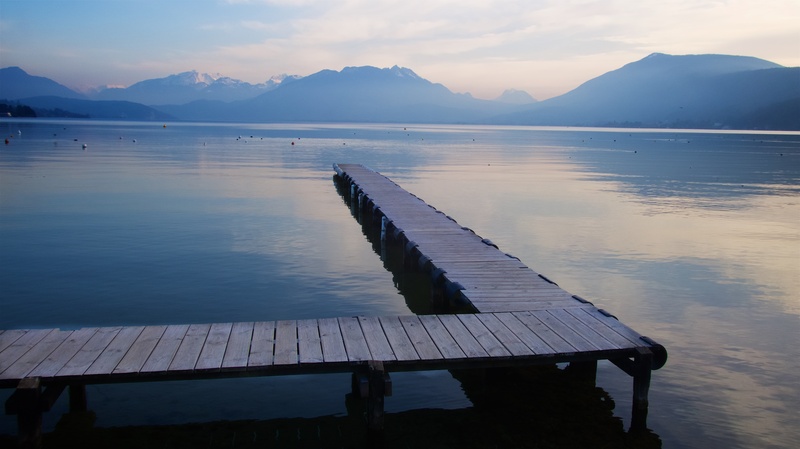 A great loop around beautiful Lake Annecy. 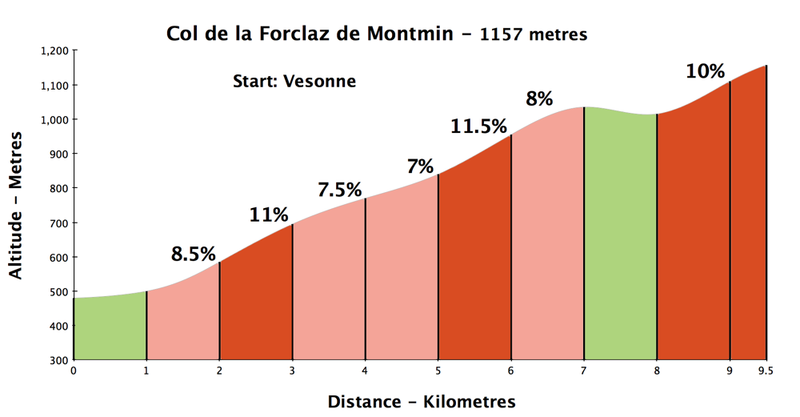 Most of the flat is on the Annecy bike path, then 2 interesting climbs.